Lagler Hummel , Lagler unico, Lagler trio, Lagler buffer, Festool rail saw, Junkers h.p commercial lacquer. 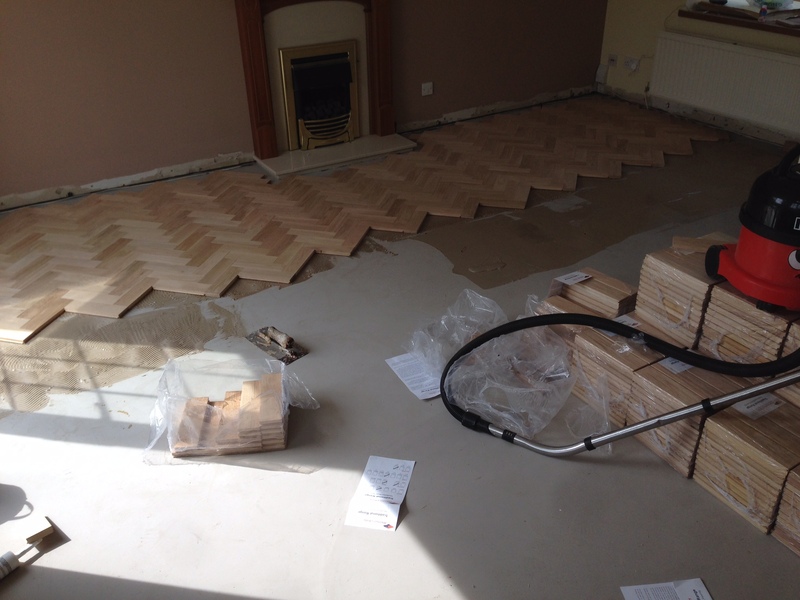 Fitting begins on a new unfinished oak herringbone parquet floor. The blocks were supplied and delivered 5days previous so they had time to acclimatise. All Full blocks were fitted leaving the border to be cut back once the adhesive had been left overnight to go hard. Finished off fitting the floor by cutting out a two block border using our festool rail saw and extractor all the way round the room and then fitting the remaining blocks. The skirting then went on before sanding the floor with our lagler trio and finishing it off with Junkers h.p commercial lacquer. 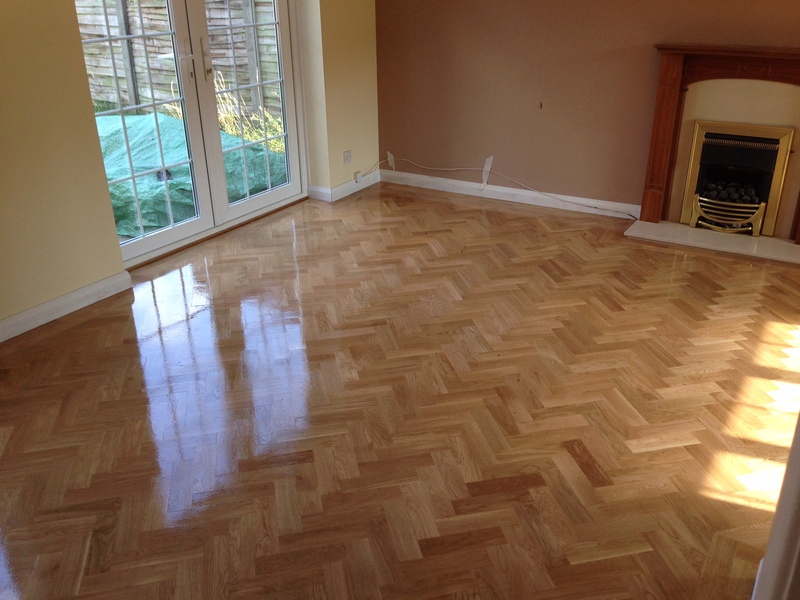 The customer moved his furniture back in and began enjoying his lovely new floor.